When you export from CRM to Excel the data is derived as XML, saved with an XLS file extension and Excel is invoked to open the temporary file. Unfortunately Excel checks to see if the file being opened is actually of a type which matches the file extension and tries to be helpful. Normally this is to help overcome problems such as a comma-separated variable (CSV) file being saved as an XLS file extension, which ought to mean Excel tries to read the XLS file, fails because the contents are nothing like a real Excel binary file and gives up. Instead, Excel actually looks at the content, spots that it looks very much like a CSV and allows you to open it just as if the file extension was correct in the first place. However, this cleverness is tempered somewhat by the fact that the default setting for this is to ask the user every single time what they want to do. As always, this is probably intended to be a helpful warning and prevent people opening files which might have insecure content, but it fails to do so because most users do not understand the implications and the longwinded message is probably not even read properly anyway. Certainly the 50th time someone sees a dialog like the one below, they just click “yes” without reading and it no longer provides any benefit whatsoever (by the way, I have done nothing to this, it displays in this ridiculously wide, un-resizable window on my machine). Whenever I have managed people in IT support roles I try to eliminate fixes which involve things like “ignore that error message, just hit OK and it will work fine”. This not only numbs people to the meaning of that particular error message but to these sorts of warnings in general. Too often I have heard users explain why they did not report a problem until it was too late, saying “well, I got an error every day saying something about faulty disk or something but I just clicked OK, like John said we should with that other one…”. Find the root cause, eliminate the error, or suppress the error somehow, don’t teach people that errors don’t matter or they just ignore them. If you went to your doctor and said “it hurts my neck when I lift my arm up” you would not be impressed if she replied “then don’t lift your arms up!”, would you? I don’t often write posts that simply say “hey, did you see this post over here?”. These echoes in the blogosphere don’t really add much value, and are sometimes symptomatic of people being measured by how many blog posts they write to meet some arbitrary marketing activity metric, rather than adding quality. 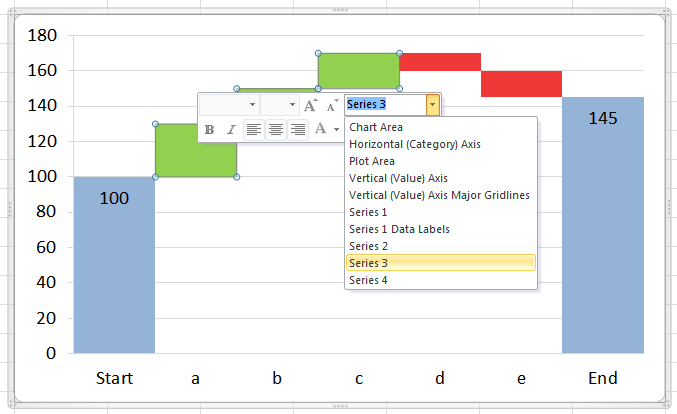 But today, I though this was important enough to just say – have you seen this post on the Excel Team blog about improvements to functions in Excel 2010? Now that one’s a week or so old now, but today there was an even more important post with a link to a draft whitepaper with more information. I have linked to the post , not the pdf file directly as it is only a draft, and hopefully the post will get an edit or at least a comment when a newer or final version is available. This document is for those who like to understand the details, and for any sceptics who might say “well, they said it was accurate last time, how do we know it’s any better now?” – it does sound a bit like washing powder ads who always tell us that this time round it will get things even whiter and brighter and cleaner than ever (just like they said before). There are a couple of typos in the draft (the floor.precise function for example has an obvious chunk of copy and paste from the ceiling.precise function for example), and there are some things not made very clear (for example in most cases it only describes the new behaviour, not the old for comparison or for explanation of the difference and why the new way is more accurate). It lists the MOD function in the section on functions whose accuracy has been improved. Did you know that MOD gave inaccurate results on older versions of Excel? I didn’t. In fact, it doesn’t – it gives a completely accurate result or fails with a #NUM error if the divisor goes into the number more than 2^27 times as described here. I think this is distinct from being inaccurate in the way the statistical functions have often been criticised. Similarly the RAND function is listed but its problems not described in any detail – I can only assume that the function is flawed in that it does not give a perfectly even distribution of results and is therefore “weighted” to some extent. Since I only ever use it to produce dummy data for examples used in my Excel training courses, it does not really matter to me if it not truly statistically pure, but I am sure to others it is vitally important what algorithm is used to generate the results (it’s now the Mersenne Twister, for those who care, but this fact is not from the whitepaper, it’s in a comment to the original post made by Jessica Liu). Anyway, the bugs and inaccuracies that are discussed in the whitepaper are all now fixed (but it does not say this in the whitepaper, merely leaves it implied), and already works in the Technical Preview. Some of the other changes came too late for TP but should be in the public Beta when that gets released. I expect the changes to naming conventions will also help people who use the statistical functions a lot (I’m not one of those) or have to make sense of others’ work. The convention of .precise added to a function name seems to mean “according to a precise definition” rather than “inherently more accurate”. I would have though .strict might be less ambiguous and similar to the use of the term in other fields (eg web design using XHTML versus XHTML strict). 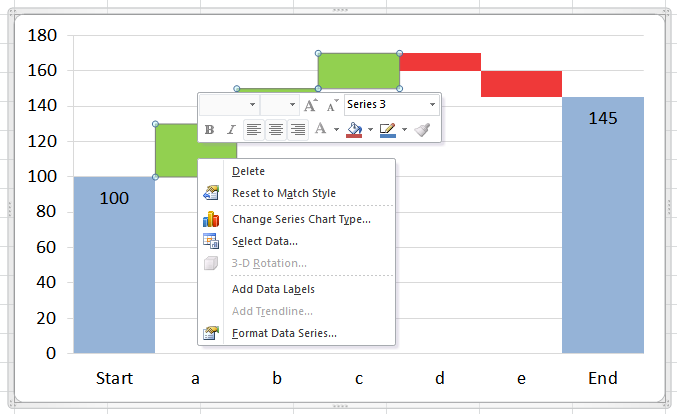 Are you using other software tools to avoid the problem in Excel, and will these changes allow or encourage you to switch back? At the moment I’m revisiting pretty much all my course materials for my Microsoft Office training courses, partly to restructure them into different chunks, and partly to start work editing where necessary to include coverage of Office 2010 so that I will be ahead of the game when that gets released next year. Along the way I’ve been finding out loads of cool things about major new features such as sparklines and slicers (more on that in a future post, as promised), and the ability to customise the Ribbon easily without writing code. There are also lots of tiny changes as well, which are easy to miss and may get drowned out in the sea of other news about the next version, so I thought I would mention a couple of them here – the status bar summaries and filters in Tables.